Great trip to Howl-y-wood! That’s really not easy… imagina a smurf with a megaphone on my shoulder… maybe you can replace it with the monkey? and why they have that giant electrode thingy? Why would they have a giant electrode thingy? 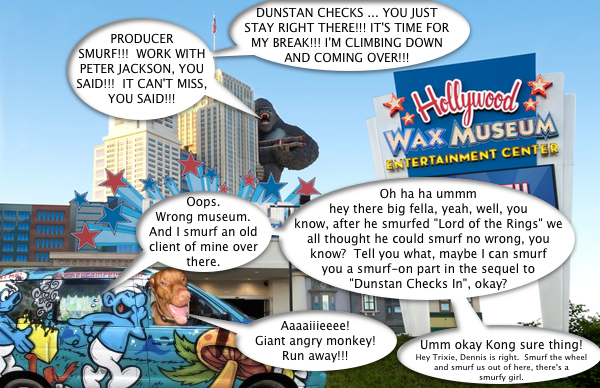 That was quite the trip to Howllywood Dennis! 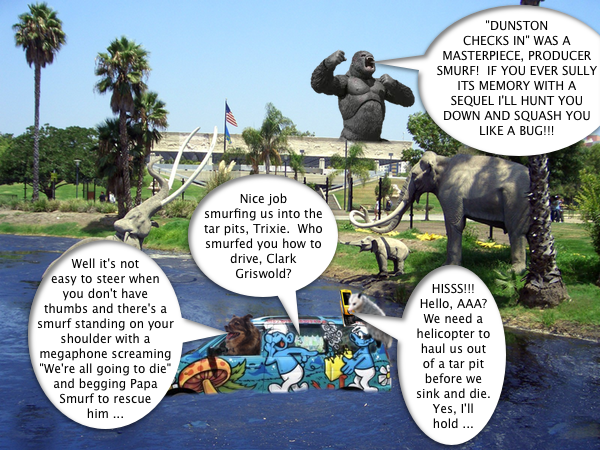 That Smurf gets you guys in Waaayyyy too much trouble! So what museum is coming in October? That darn Smurf gets you into too much trouble. I think you should leave him in Hollywood! 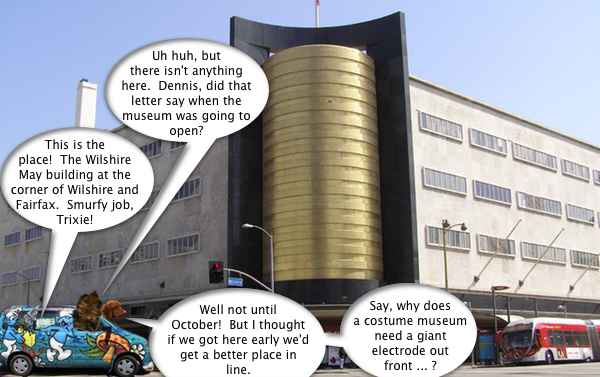 Y ou can just bet big bucks it will be a Smurf Museum because I can’t imagine one other thing those smurfs are interested in,except maybe food and money.Be careful, Trixie! Hmmm….wonder what’s up with that electrode thingy? Maybe you can put it to use somehow if that giant ape catches up to you. I think you may be smurfing in line for the Dungeon of Doom, Trixie. That could only be trouble for your pack. It might be best to smurf out of there. That giant electrode thingie looks might suspicious and scary to us – best not get too close, Dennis! Ummmmmmm….huh?? BOL….Trixie, we are so very confused…but we are sure all of this was Dennin’s fault ;-). Woo know it will be a pawesome missiontrip with Trixie in charge! Hmm. We agree – the electrode is a little worrisome. Don’t put your lips on that! You guys should go to Pinks while you’re in Hollywood! 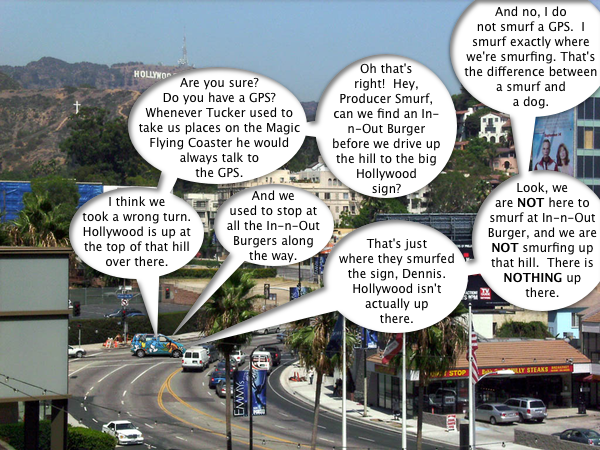 Sounds like hollywood is the place to be. So much happening. That surf is nothing but Trouble! I miss that magic flying coaster that Tucker used to fly……..